As much as I love GitHub, it’s lack of mobile applications has always been kind of a bummer to me. Sure, there is GitHub Issues and it’s not bad, but it’s basically a way to keep up with issues and bugs that crop with your repositories. Personally (and surely I’m not alone), I’ve always wanted a full-featured version of GitHub for iPhone. 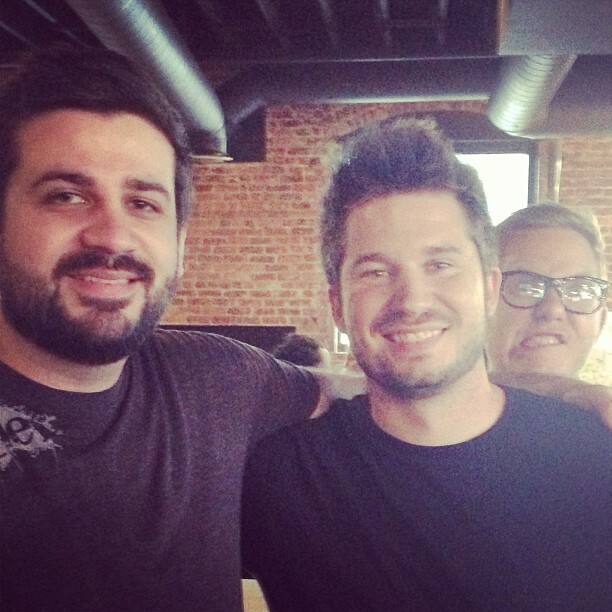 A couple of years a go, I met a Matthew Strickland via Twitter – he’s a solid guy, solid developer, and I’ve had the pleasure of meeting up more than a couple of times around Atlanta. Matthew, Jared, and Myself at a recent meetup. Recently, he released Gitty – and it solves the problem of a missing client of GitHub for iPhone. 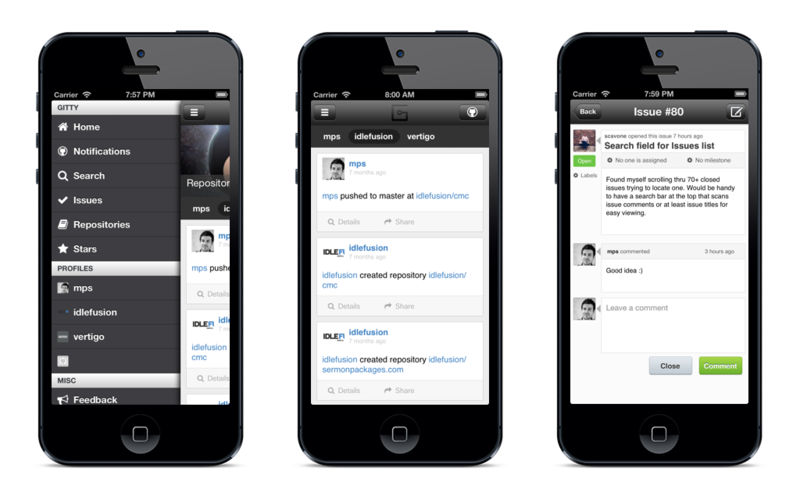 In short, Gitty is full-featured versin of GitHub for the iPhone. On top of that, it has a slick interface that most of us who use iOS daily have come to expect. Just as you’ve come to expect from GitHub, you can track events for your repositories and the repositories that you’ve starred. If you’re part of an organization, it the app also allows you to keep track with those repositories, as well. You can also keep up with all of the notifications and the various deep links that you’re used to following within the context of GitHub. It also provides access to project source code and their corresponding issues. Track with the latest issues, commits, and pull requests for your repositories. Yeah, I know – the title’s a little punny, but Matthew has been kind enough to give me a single promo code to give away in contest. So from today through the next week, the contest will be held. Good luck to you guys :)! It’s an awesome app by the way! I highly suggest the purchase! Exactly what I was looking for and for sure a lot more people are! Cool, I need this !! Here’s my entry! :) – Thanks for bringing attention to Gitty – I think I’ll be getting myself a copy, one way or another. I use Github for every university-related project I do. I’m currently doing a master studies in Artificial Intelligence. I’ve already purchased the app and it’s truly awesome! If you use GitHub for work or personal projects, I highly recommend participating in the giveaway. Matthew has done a truly fantastic job with this app and even if you don’t get a free copy of Gitty, I highly recommend purchasing it. For the price it’s at, it’s a steal! This would make my life much easier. Put me down for two entries.